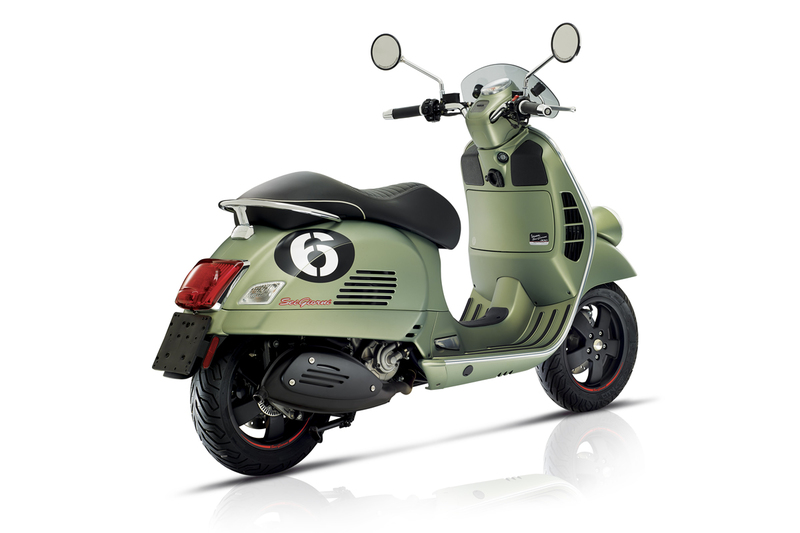 VESPA SEI GIORNI – A special and numbered version of the most powerful and technologically advanced Vespa of all times. 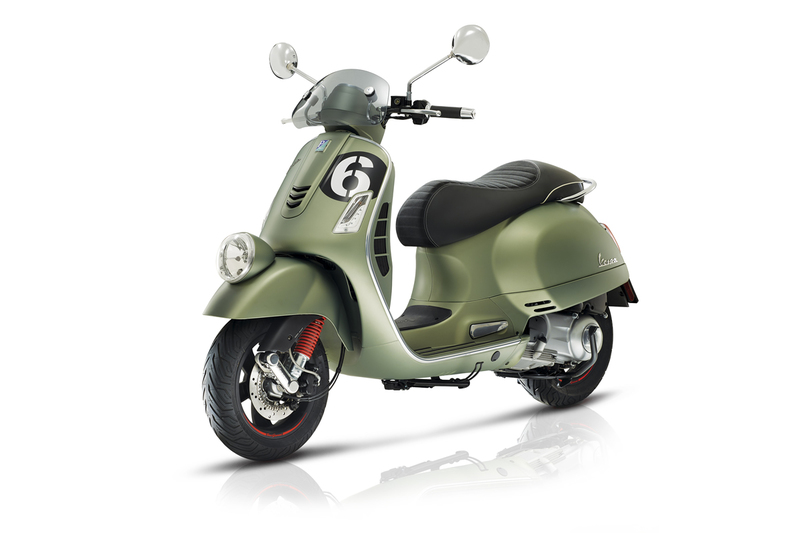 Characterized by the large body made strictly in steel, perfect for moving about elegantly in the city but always ready for travel and adventure, Vespa GTS is the technical base for the new Vespa Sei Giorni that uses the most powerful engine in the history of the most famous and beloved scooter in the world. 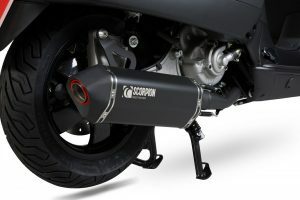 It is a modern and technological 300 Euro 4, a single cylinder, 4-stroke, 4-valve, liquid cooled, electronic injection engine capable of putting out 15.6 kW (21.2 CV) of power at 7,750 rpm and maximum torque of 22 Nm at just 5,000 rpm. These are values that ensure extremely quick response in acceleration and extremely brilliant performance all around. 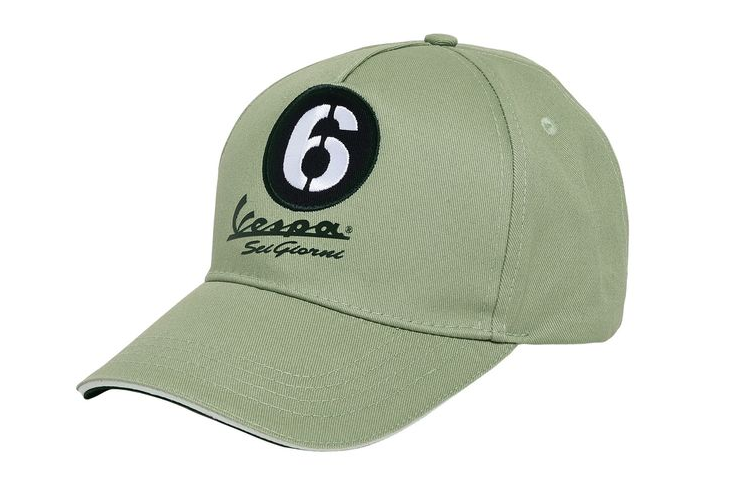 The technology and touring vocation so typical of the Vespa GTS family meet the history and most genuine sport tradition of Vespa. 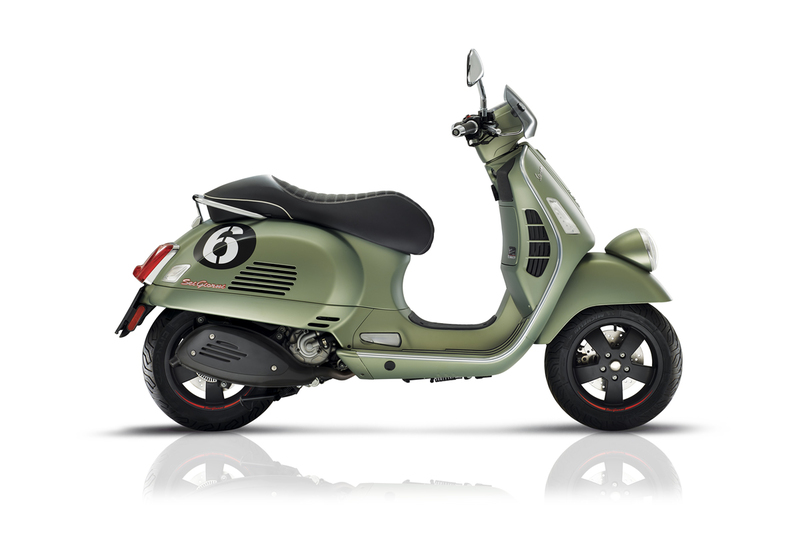 And so the Vespa Sei Giorni is born, a special version, produced in numbered edition, heir to the original Vespa Sport “Sei Giorni”. A model that became part of the legend, built specifically for the taxing “Sei Giorni Internazionale di Varese” regularity competition of 1951, where it was the undisputed protagonist, earning 9 gold medals. 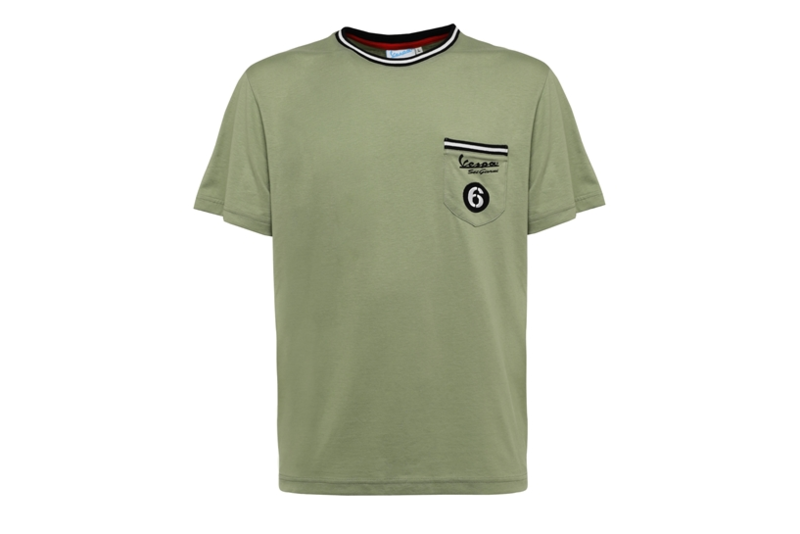 The year was 1951 and the Piaggio Squadra Corse astonished the racing world, triumphing over real off-road motorbikes in one of the hardest and most prestigious competitions: the Sei Giorni Internazionale which was held in Varese. 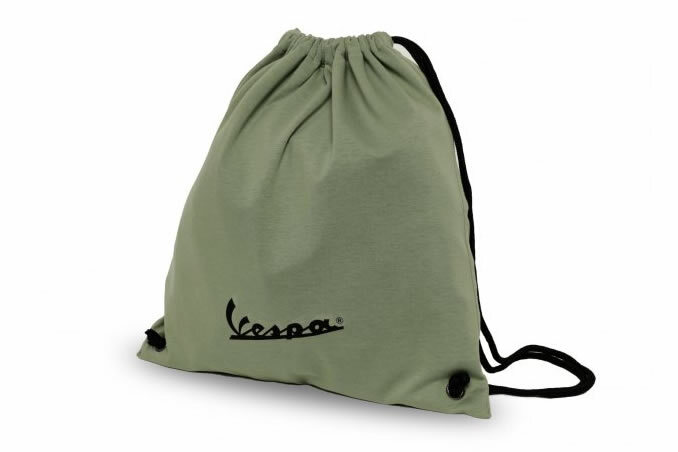 The Vespa “Sei Giorni” which took its name from that victory, was very similar to the standard model aesthetically, differing primarily with its larger fuel tank, the more streamlined shield and the larger right side bag. 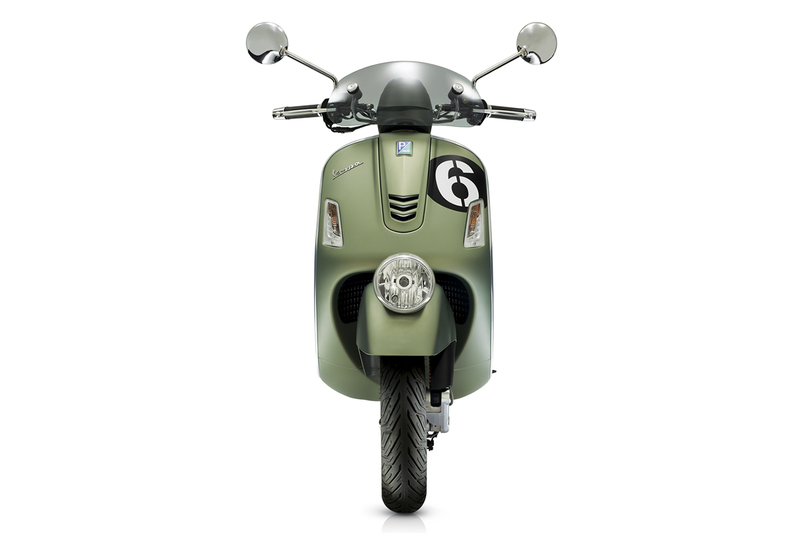 That Sei Giorni model is one of the most legendary in the history of Vespa and it is now highly sought after by collectors. 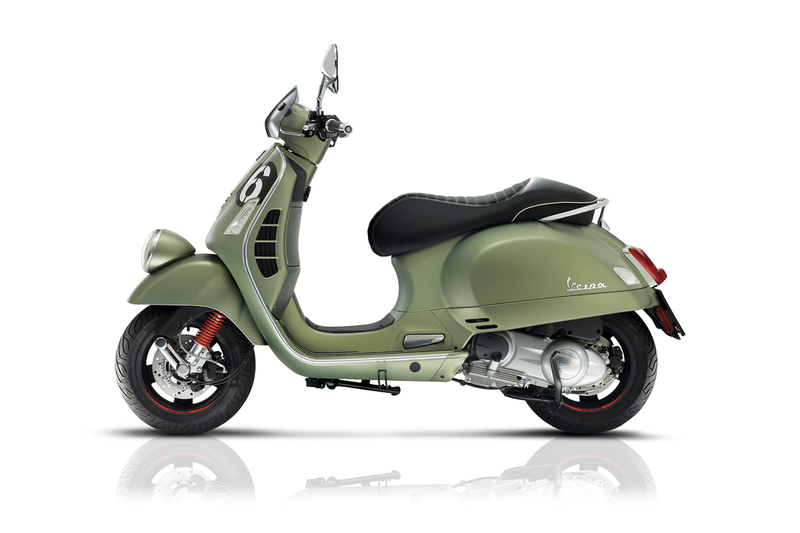 The style of the new Vespa Sei Giorni is unmistakeably reminiscent of Vespa’s classic nature. 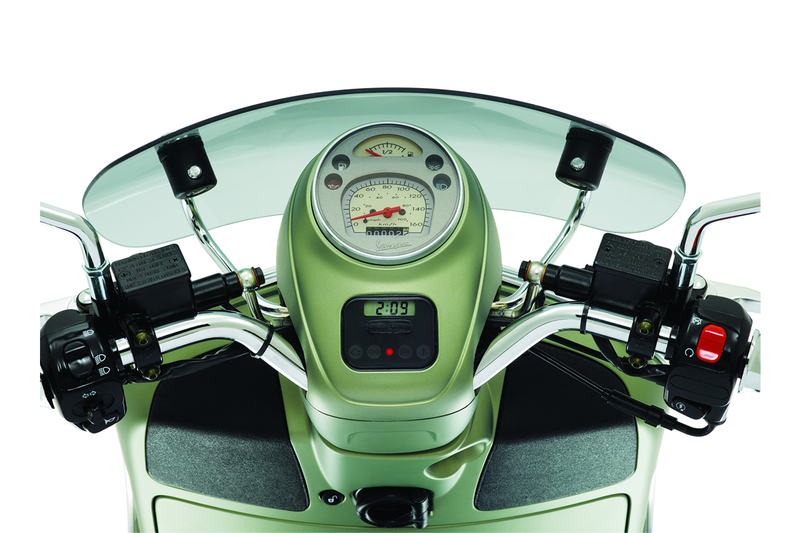 Characteristic elements are the “faro basso”, the low position of the headlight assembly on the front fender, as well as the handlebar like the one on the original Vespa Sei Giorni, characterized by the simplicity of the exposed metal pipe. 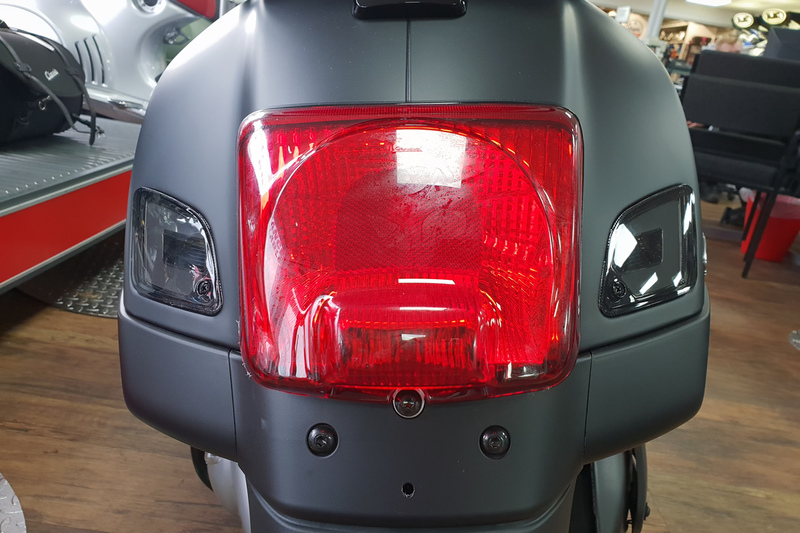 The sporty spirit is also highlighted by the black number plate taken directly from the livery of the Vespa and it is enhanced by all black parts and by gritty red details. 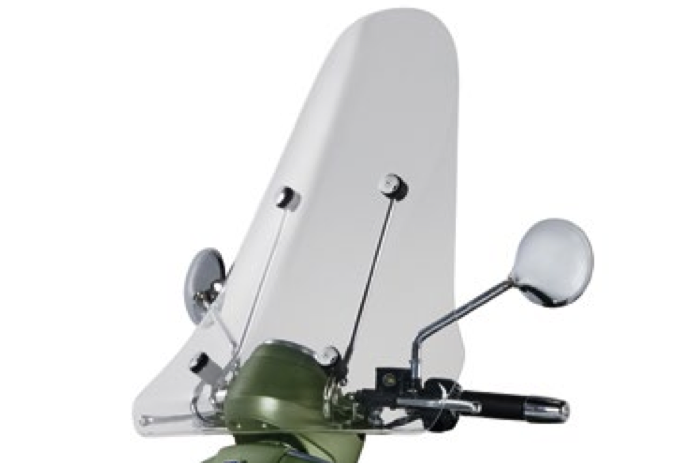 Lastly, on the leg shield back plate, the “Special Edition” plate bearing the serial number is a reminder of the unique nature of this special model. 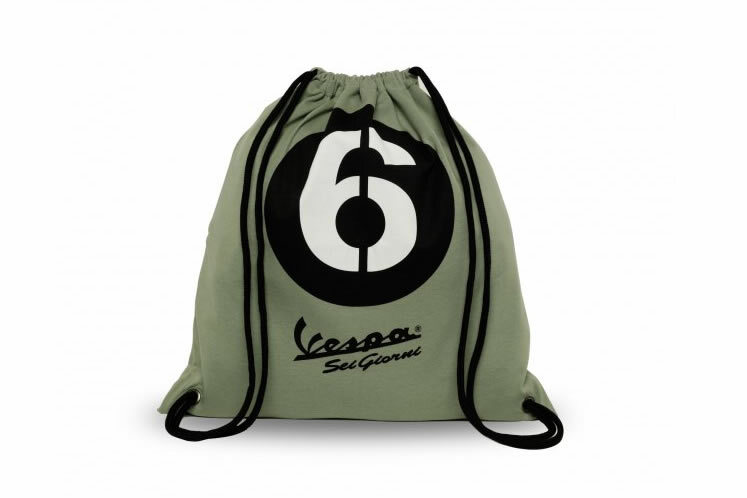 Vespa Sei Giorni makes those values typical of the Vespa GTS range its own such as style, comfort and safety: like all the large body Vespa versions, Vespa Sei Giorni boasts a spacious helmet compartment and a large and comfortable seating area. 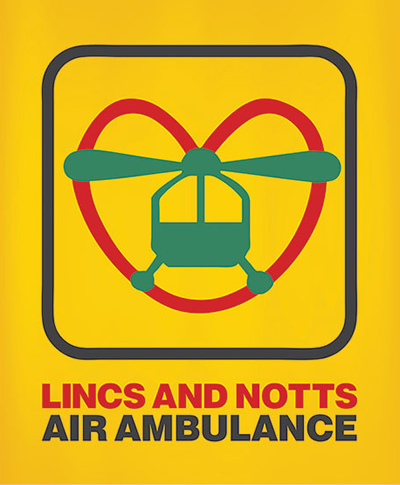 The seating is natural and allows total control over the vehicle and absolute comfort even for long distances. 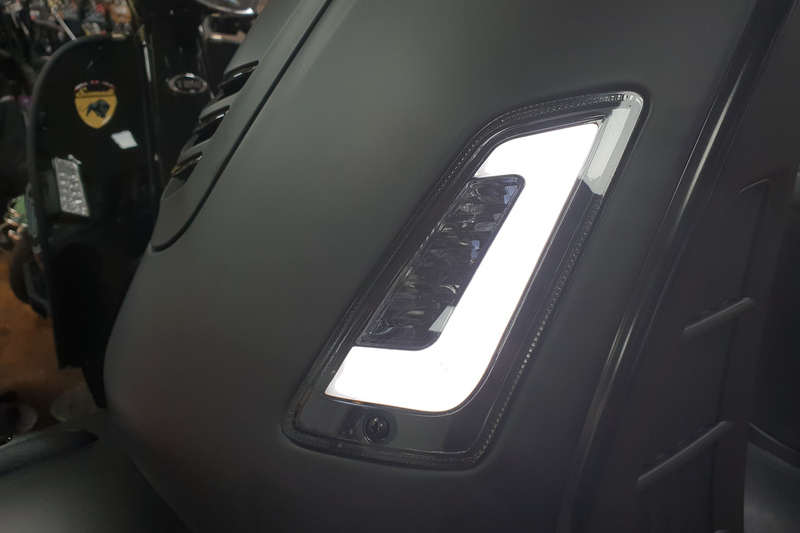 The USB port is a standard feature, located inside the compartment of the leg shield, while the front turn lights house a series of LED that act as day running lights. 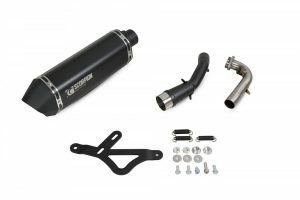 On the safety front, the ABS antilock braking system is standard equipment. 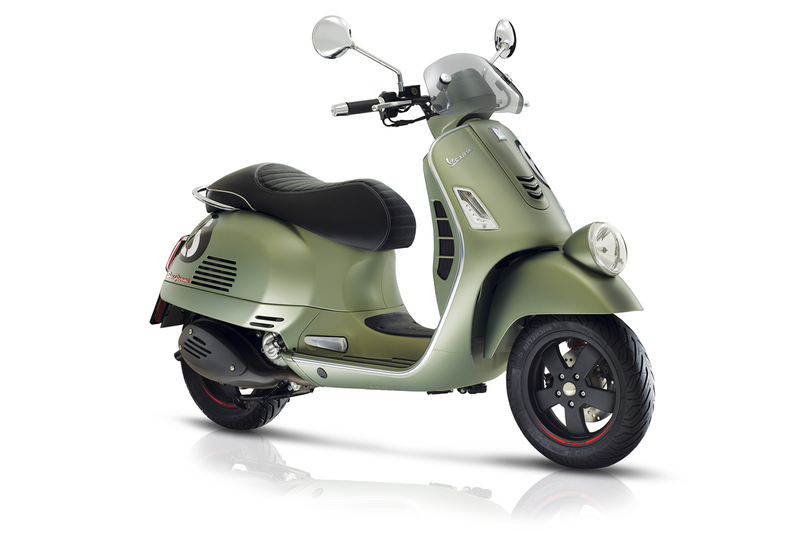 Got a question about this Vespa GTV 300 Sei Giorni? A LED indicator kit with integrated running / position lights and full EU regulation conformity. 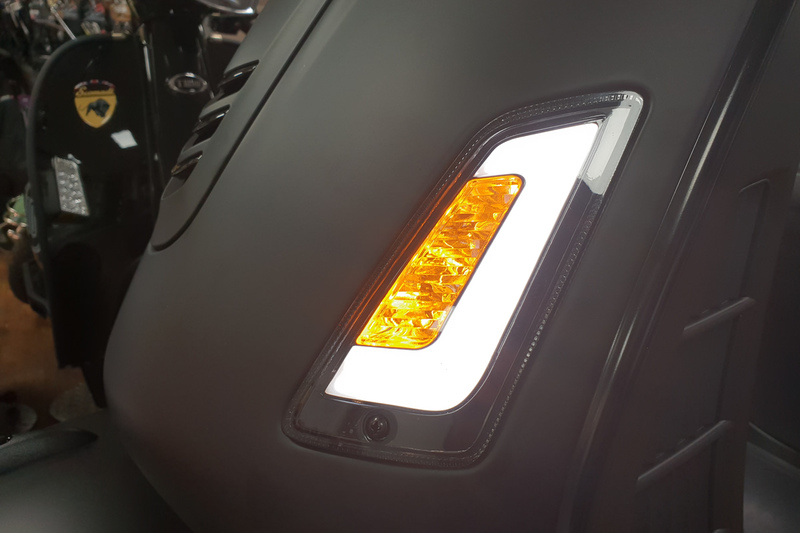 These LED lights increase your passive safety in traffic enormously, even during the daylight hours. Windscreen made of high quality, extremely resilient impact resistant methacrylate. 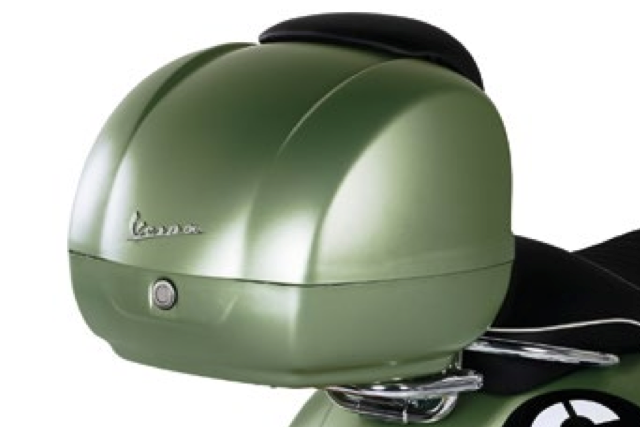 Painted top box, with backrest in the same material and finish as the saddle. 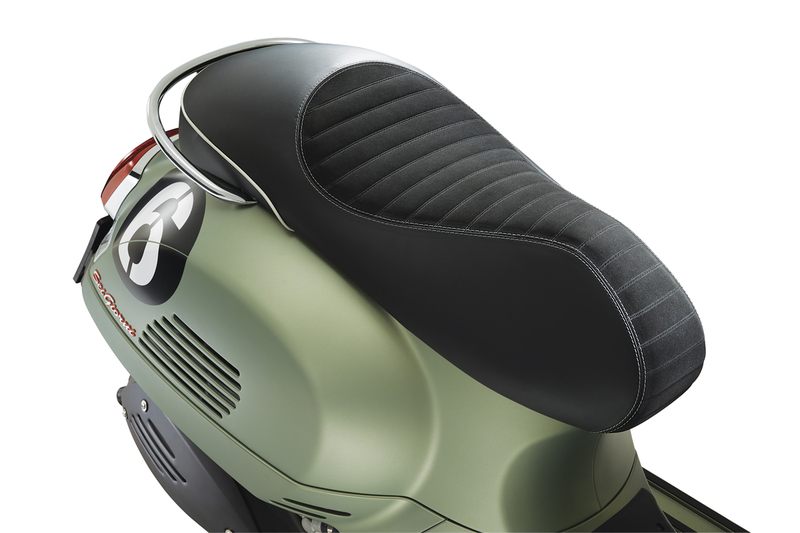 Fresh, modern design complementing the soft, flowing forms of the Vespa. 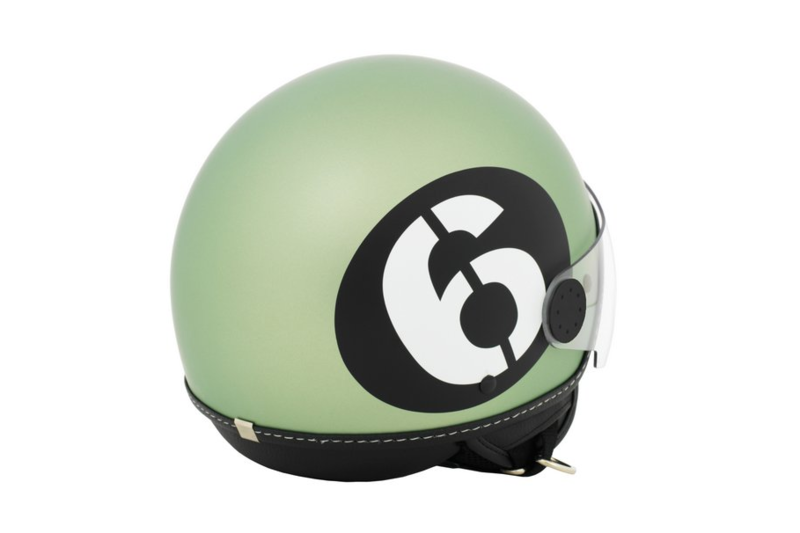 Demi-jet helmet made of ABS material, finished in eco-stitched leather on the shell.